How do you feel about yourself, your health and your future? How do you feel about aging? 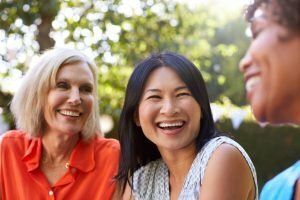 Menopause can be a time of celebration, of rejuvenation and a time when you can embrace the wisdom of your years and remake yourself. It is not a time for decline or a time to wither away. It is a time for freedom and embracing self discovery and self renewal. The way you age is up to you. It is possible to age gracefully, to look younger than your years and ease into the change of menopause with health and vitality. Oh the horror of it! It is common to hear and dread menopausal symptoms. You may even be experiencing them and are looking for a means to reduce these symptoms. Some women can experience menopausal symptoms years after they have gone through menopause! Oh the horror of it! However in Chinese medicine, menopause is approached differently. Chinese medicine is known as longevity medicine that has helped women in many of the special times in their lives. Here are 5 tips easily added to your routine to rejuvenate your body during menopause. Eliminate toxins for more youthful skin. Adopt a new habit of drinking filtered water (not tap water that contains many contaminates) helps flush out toxins from your system. Toxins can disrupt the natural balance of your body creating symptoms of dis-ease. Drinking cleansing teas for detox is great for your system too – such as dandelion or chrysanthemum tea. 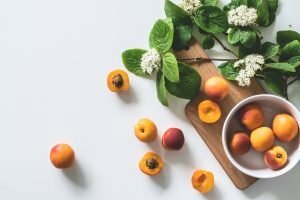 Eat pears or peaches– not only are they great for regular bowel movements which are essential for healthy digestion and healthy skin, they also have skin preserving qualities. Pears are also used to reduce dark circles under your eyes. Apple and honey face masks improve dry wrinkling skin and can be done in the comfort of your own home. Apply the honey to freshly exfoliated skin. I like to use ground almonds and coconut milk which is exfoliating and nourishing at the same time. Apply honey to clean skin and then chilled grated apple. Leave on for 20 minutes, wash and then apply moisturiser. Herbal tonics address the inner workings of the body to help create balance and reduce the effects of aging. I have created a Women’s harmony blend of Chinese herbs for menopausal women that helps to reduce symptoms of menopause and also helps to beautify the skin. If you would like to find out more about the menopause packages we have available, please send me an email. Skype consultations are available. Schedule an appointment now.